If you’re new to the idea of preparedness, you can start your journey right here, right now. Check out these basic steps, start small, but keep a steady pace. Baby Step #1: Plan for a Short-Term Emergency – The most common emergency is short-term. You may find yourself without electricity for a number of hours, or even days. Perhaps a winter storm has confined you to your home or place of work. Your first goal should be to prepare for a one-week emergency and assume you will be without power. You’ll find plenty of tips in this short article. Baby Step #2: Prepare Your Vehicle: Most of us live in our vehicles, but would you be prepared to really LIVE in your vehicle if you were stranded far from home? This helpful article provides a list of all the must-haves for a vehicle emergency kit. A more extensive list can be found here. 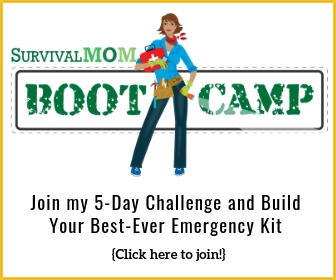 Baby Step #3: Get Smart About Potential Disasters – It’s better to prepare on this side of a crisis than on the other when panic and fear take over. Here you’ll find a common sense list for preparing for the most likely disasters you and your family will face. Baby Step #4: Get Home, No Matter What – What do you need to have with you, whether in the car or at work, so that you have what you need to get back home? You’ll find an extensive list in this article. Baby Step #5: Develop a Mindset – The most important survival tool you have is your mind and attitude. 5 Simple Steps to Preparedness – There’s more to preparedness than just collecting lots and lots of stuff. Finances, common sense, and knowledge all play a part. This article breaks it all down into five steps anyone can follow. 6 Quick Ways to Increase Your Survival Education – When it comes to being ready for anything, skills and knowledge are one of the main foundations, but who has the time to sit and read volumes of survival manuals? Check out these six resources that will keep your brain busy with plenty of info without requiring long hours of study. Tell me EXACTLY How to Store Food – Stocking up on extra food is a foreign world to most people. 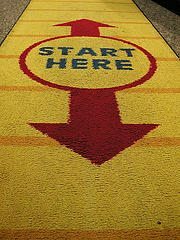 This short article gives the most basic steps for getting started. 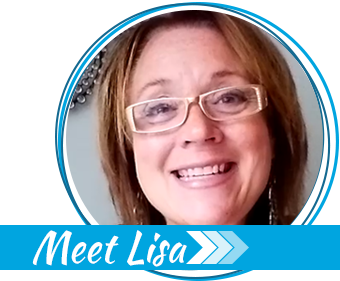 You’ll find lots of entertaining and informative lists on my List of Lists page and numerous free downloads here. 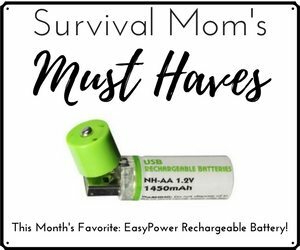 Learn from other Survival Moms by checking out their blogs in our Survival Mom-Blog Ring. I am new to prepping and live in Florida. So far I have not seen anything about how to properly store bulk wheat in our hot, humid environment, when very little of the year is the ideal 45 to 65 degrees. Any one more experienced out there with suggestions? Thanks. Karen, I lived in South Florida for years. Do you or your friends have dogs they stay outside? Ever wondered why they dig holes then lay in them? The ground temperature is ideal to store food. The hard part is planning on how to get your supplies under ground. This could be as simple as digging holes and placing items in air and water tight buckets or contacting one of the many shipping container recycling companies in your area. Purchasing a container and bury it. Keep in mind that a container needs to have added support for complete burial. However 3/4 burial is suitable. Also if you live in South Florida then the water table is a major concern. A shipping container floor must remain above the water table. Don't always look for the obvious with people, Look at Nature too. Totally different topic, but a Sun Oven is probably a good investment for you in Florida. I'm far enough north that it's really only a for-summer item for us. Unless, and until an emergency occurs, your home will be air conditioned won't it? We lived in Florida for 20 years, and experienced power failures during severe thunderstorms and whenever we had a hurricane, (NOT often at all except for 2004, when we had three hurricanes within 6 weeks!) My husband built us a great walk-in pantry w/very sturdy sheving for much of our stored food and water. We also used the back of bedroom closets, and under beds. Most Florida homes are build on concrete slabs and don't have the option of a crawl-space or basement for cooler temps. We life in S Carolina now, and plan to store some of our food & water under our crawl space. Temps get brutal in the summer here too, but not as humid. If you live in a neighborhood that doesn't have strict restrictions, you could 'hide' some of your food storage as Brian suggested below, in the ground, beneath a locked storage shed. You'd need very sturdy storage containers… squirrel, chipmunks can chew through some of them. And chipmunks burrow tunnels underground. Bugs are a bigger issue for Floridians, esp. those awful 'palmetto's' (i.e. giant roaches!) Good luck! I live in south Florida and bought a years worth of dehydrated food in 1999. We keep the A/C on about 78-80, no lower as my wife is always cold. arrghhh (just one of teh things us men go trhough) anyhow I opened up a 5 gallon bucket of hard red winter wheat a few months ago to check it and it;s perfectly fine. I threw in a decasant pack that I made, closed the lid up and will check it again in about 5 – 10 years. It's stored in a closet with louvered doors so air can circulate. Yes the ideal temp would be under 70 degrees but seems to be doing fine. You could always install a separate air conditioner in that room only also and keep that individual room chilled. Thanks to you all. Great suggestions. I have clicked on many of your links in the past and had no problem . Now, when I wanted to show my sister some of the best articles, they all lead to a page that says "no page found" "error" "are you the owner of this site" etc. Any ideas of what is going on? Tricia, you're the second person to mention this problem just today. I recently did an update, so perhaps that somehow caused the problem. Can you tell me which links in particular aren't working for you? Never mind! I fixed the problem! Hi Mom – I'm a Dad and I want to contribute. I'm an Emmy-nominated Photojournalist. After Haiti, I had my awakening. After Japan, I put this together for my children: http://www.youtube.com/watch?v=eLG6r7dnqOk (no advertising). I look forward to learning and growing with you. Wow, I just discovered your website today and I love it! 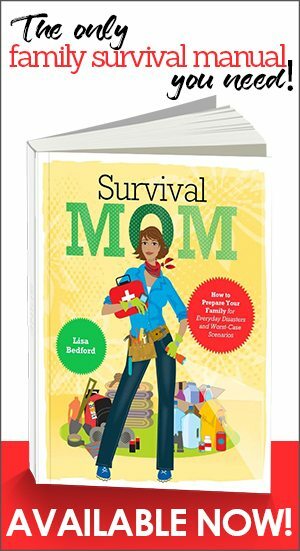 I can’t wait to become a survival mom. So far I’ve been more of a head-in-the-sand mom!! Looking forward to reading on! thanks for the great articles. I’ve got so much to learn but I feel so glad I am starting. It’s kind of like turning paranoia into a fun hobby! !